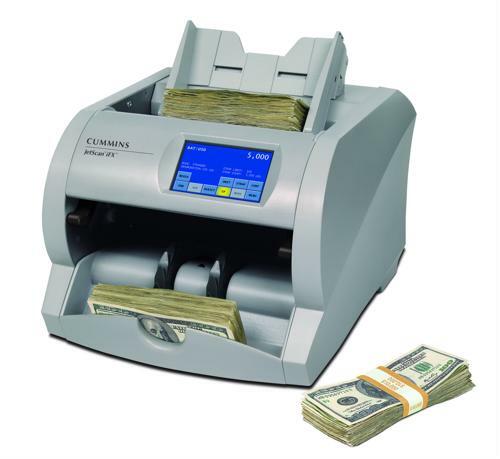 Money counters are an essential for law enforcement and retailers for mitigating the effects of counterfeiting. They can also be used to help stop counterfeiting efforts in the local area. There are often a lot of different businesses that face the damage of a counterfeiting operation, especially if grows in size to have more than just a few people. A large ring can easily wreck havoc on the local economy just by disbursing a large and diverse set of fake bills, which can sometimes be found in the hands of customers. A counter can identify these quickly and get them out of circulation, and may help identify who is distributing them. Money counterfeiting rings still remain common in the United States for various reasons. While they tend to be small, even a few people in the right places can affect local businesses. They also tend to be associated with other criminal activities such as drug dealing. In Abilene, Texas, authorities were able to apprehend a large number of people involved in a local counterfeiting ring where thousands of dollars in fake bills of different denominations were used, according to KTXS News. The primary targets were convenience stores that were more likely to be vulnerable to receiving these bills. The apprehension process began when law enforcement officials, after a month-long investigation, arrested a single member of the ring, and talked this person into revealing more information about the operation. From there, 10 members of the counterfeiting ring were identified, located and apprehended. Some of the arrests were obstructed by the suspects, while others, along with possessing fake bills and the means to produce them, were caught with controlled substances such as marijuana and methamphetamine. The Secret Service, ultimately responsible for all counterfeiting investigations in the country, visited Abilene to discuss the matter with police officials. While some of the bills are still in circulation, the main efforts of the ring have been thwarted. What often helps in these investigations are money counters. These machines are not only able to identify counterfeit bills, but also identify what makes them fake. The criminal rings that develop these bills often use the same printing techniques for each bill, regardless of denomination. Once officials can identify a common thread that sets these bills apart from the real bills through these counters, they can use the information to track down the source of the bills and arrest the people involved.